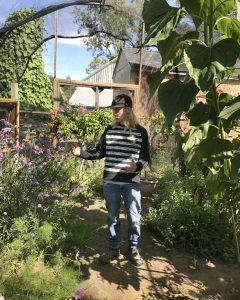 In this 30 minute program, learn the history of Gideon’s Garden, the hopes and dreams for the program and all about our new director, Jen Bloesch. 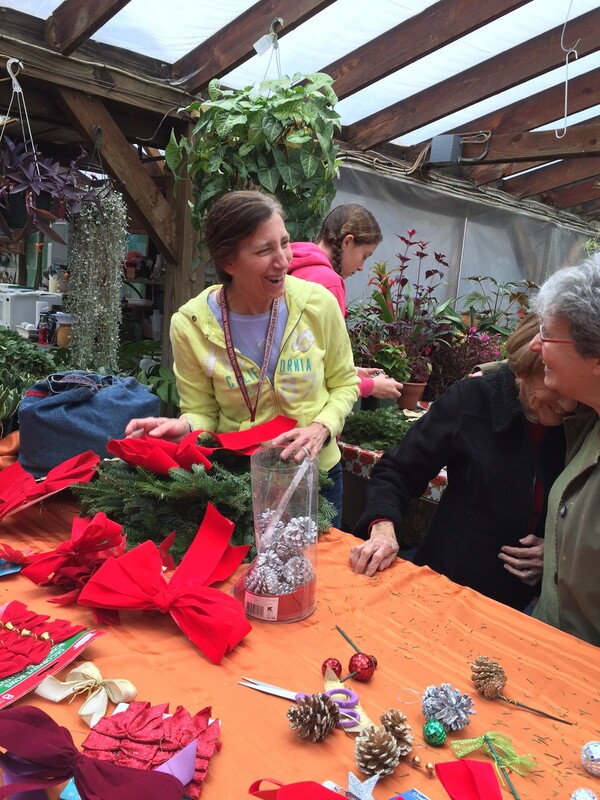 Jen Bloesch of Knoxville, Tennessee will be our first AYMS. 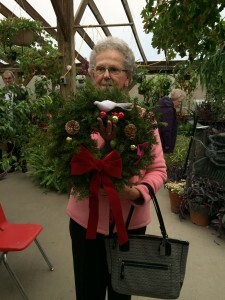 She will arrive at the beginning of March and immediately begin working with Sue Hayden of Taft Farms seeding the plants for this coming summer’s Gideon’s Garden. 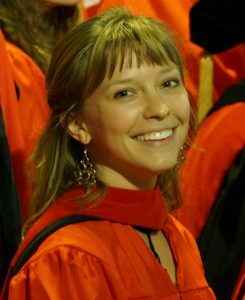 Jen received her MDiv from Boston University last May with a focus on “Farm and Dinner Churches in the Eastern US”. She has been a camp counselor and a student minister. She loves connecting young people over a meal and is very excited to head up Gideon’s Garden. 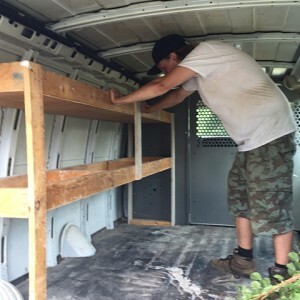 Over the next couple of months, before our planting on June 1, she will be connecting with the many partners and food pantries that have been part of the extraordinary story of Grace Church, Gideon’s Garden, and Taft Farms. 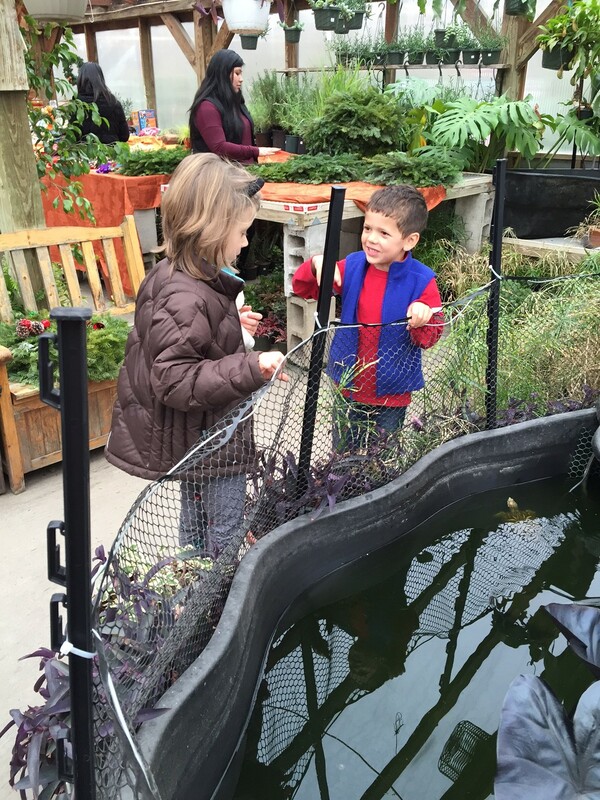 There was an abundance of butterflies and vegetables. 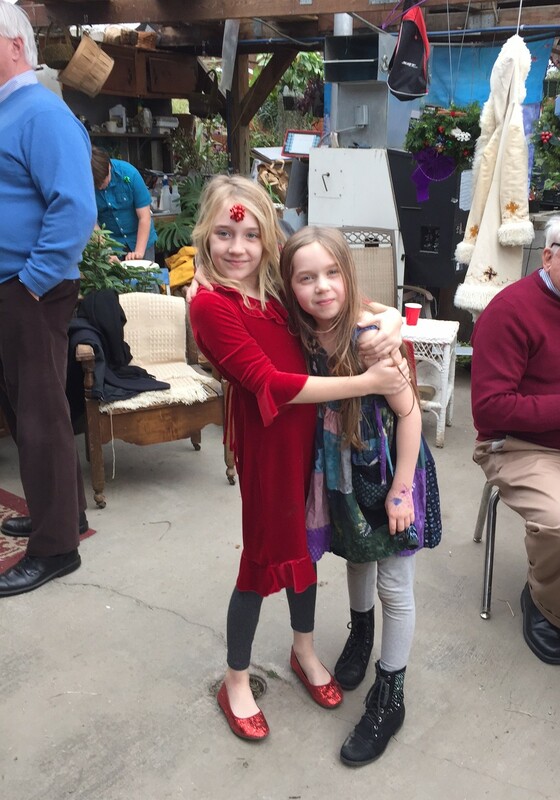 There were many visitors! 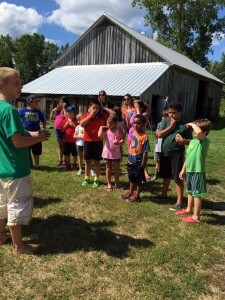 Pictured here are groups from Camp High Rock, who harvested vegetables, and Multicultural Bridge Camp. As the summer comes to a close we say good-bye to those going back to school. Thank you! 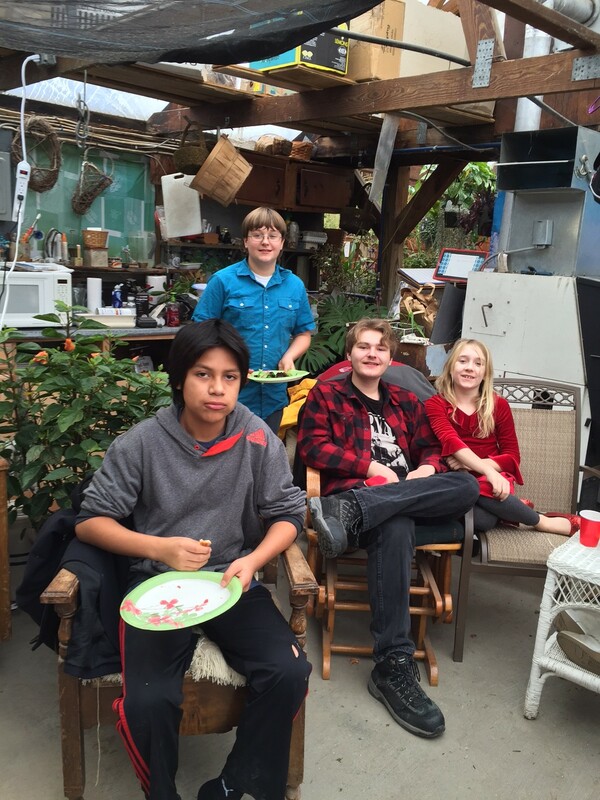 You can make a donation to Gideon’s Garden through PayPal. 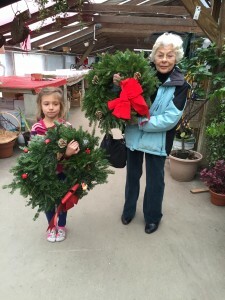 100% of all donations go directly to the operation of Gideon’s Garden. 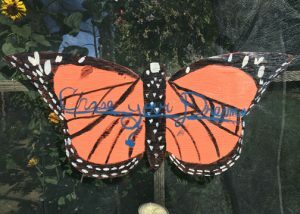 The story of Gideon’s Garden from Grace Church on Vimeo. 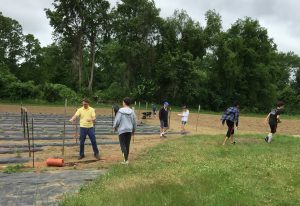 Nine students completed several community service projects at Gideon’s Garden over a three day period in mid-June. 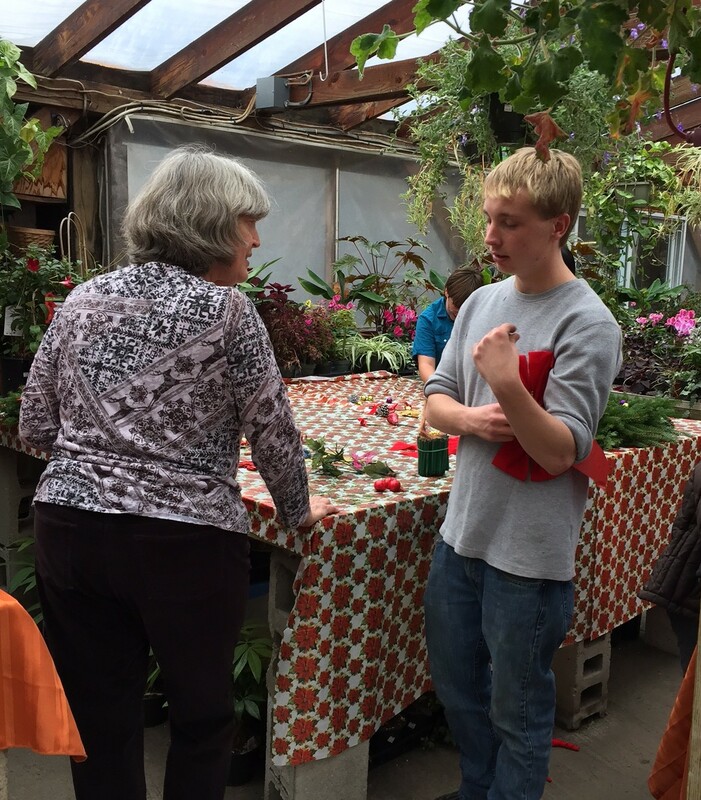 Jake Pinkston, a teacher at M.V.R.M.S., spearheaded efforts to include Gideon’s Garden in the eighth graders’ year-end YES (Year End Studies) Program. Kyle G., Gideon’s Garden youth supervisor, directed the program, with Dutch Pinkston serving as chaperone. 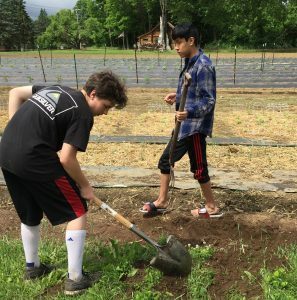 The eighth graders spent mornings on the important hands-on activities of caring for the garden (planting, weeding, hand-watering, and building). 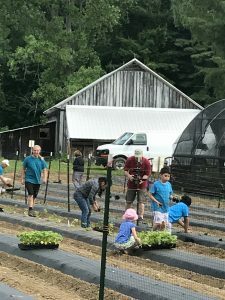 The students toured Taft Farms, the animal pens, and the butterfly house; used wood pallets to construct a two-bin composting structure; planted an additional row of tomatoes, erecting fencing to support the plants; learned about what is planted in the garden; and inventoried the number of plants under cultivation (1000+). They also had the opportunity to meet with Sue Hayden, Dan Tawczynski, and Pennie Curry, and they wrote reflections of their experiences. Discussions with students prior to their arrival identified three projects of interest: A) create a user-friendly web site for Gideon’s Garden; B) craft a recruitment poster/brochure encouraging youth volunteers; and C) and develop apps and/or paper produced resources for garden food recipes in both Spanish and English. The students utilized computers to assemble and share their experiences and projects with peers and visitors in the school cafeteria. 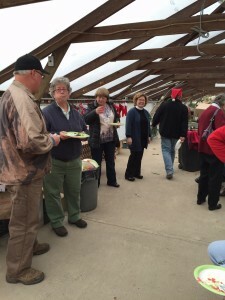 Penny, Sue, and Dutch attended the gathering to admire their projects and thank the students for their efforts. Gideon’ s Garden celebrates ten years! 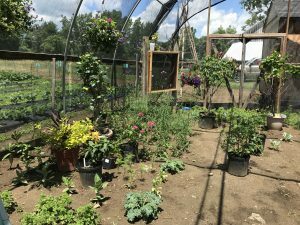 Gideon’s Garden has been a strong force for hope and good in the Berkshires for 10 years. It began with a question from a child as to why we as the church could not do more to feed those who are hungry. 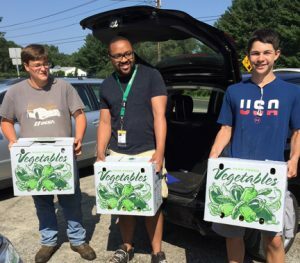 The response has been not only beautiful fresh produce delivered to food pantries and agencies who serve people in need of healthy food, but also the transformation of lives who have been a part of this great adventure led by God. 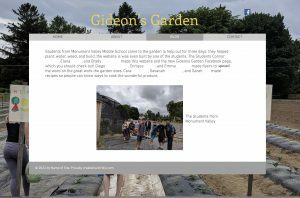 If you have been part of this wonderful ministry or would like to become part of Gideon’s Garden, please join us. 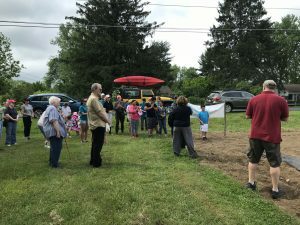 The June 2nd, 2018 Blessing and Planting of Gideon’s Garden. This video was made in the summer of 2017 by the Rev. 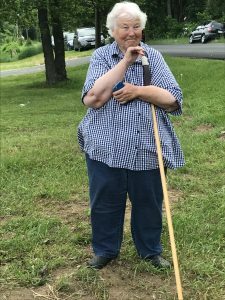 Vicki Ix, Communications Director/Missioner. 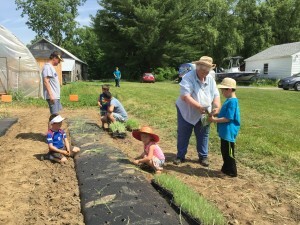 Gideon’s Garden from Episcopal Diocese of Western MA on Vimeo. 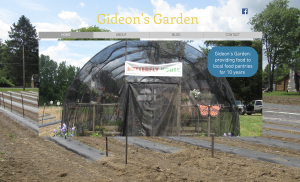 Over the past few months, we have reflected on what Gideon’s Garden has meant to our community. 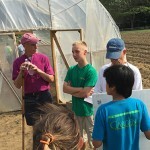 Through a grant from the Diocese of Western Massachusetts, we were able to hire a local teacher to conduct interviews of the youth who work in the garden currently, as well as those who helped the Garden grow over the years, key members of the recipient organizations the Garden serves, and members of Taft Farm’s staff. This is a very brief summary of what was discovered. 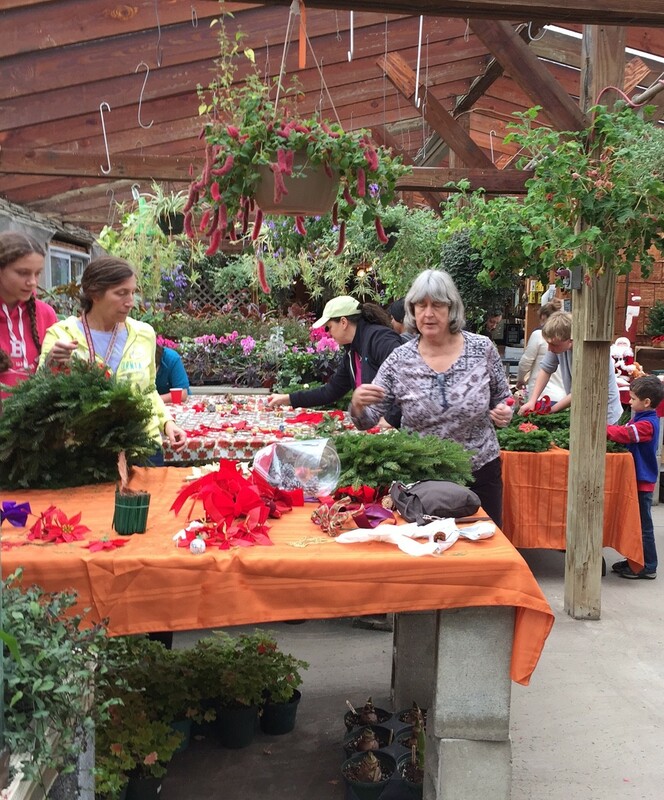 Gideon’s is a welcoming safe place for all who work here. 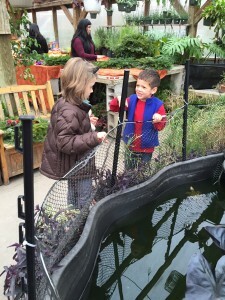 It connects children to the land and the food they eat while teaching work ethic, responsibility, and respect. 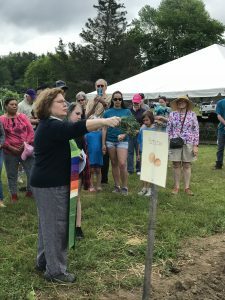 There is strong relationship between Taft Farms and Grace Church. It is youth centered and a youth executed program with a focus on mentoring and personal growth. 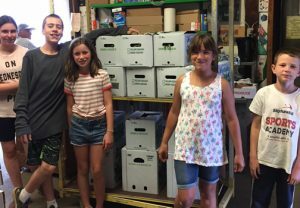 It provides quality, needed food for families in South Berkshire. 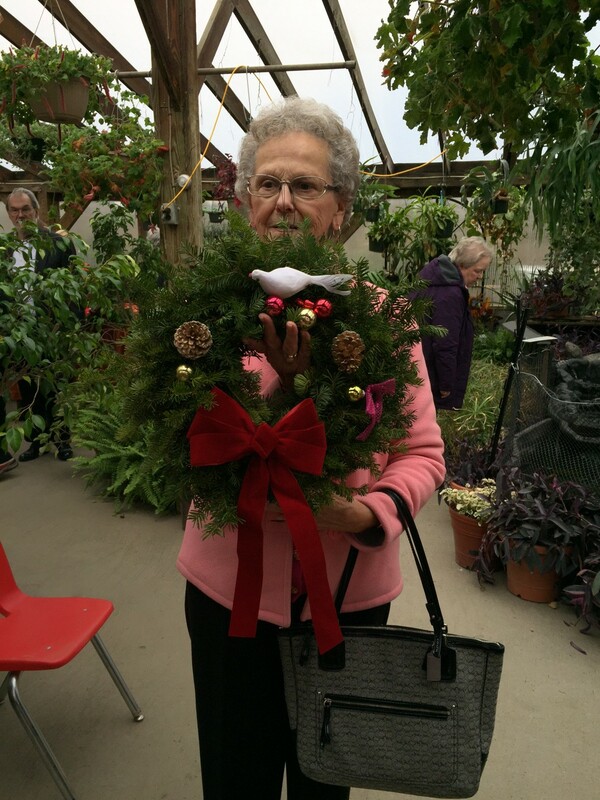 There is universal gratitude and loyalty from current and past student participants. 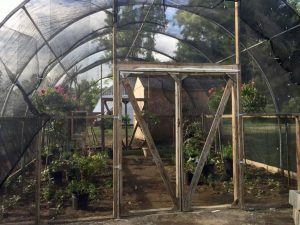 There is innovation and growth demonstrated here—Butterfly Garden (new 2017), signage, and extended planting season. 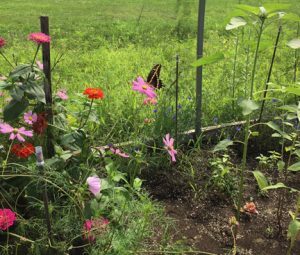 In addition to our usual crop of vegetables, we have added a new feature this year. 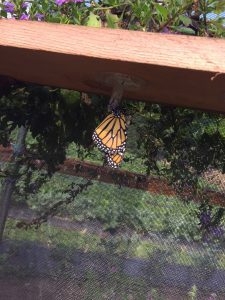 Welcome to the new Butterfly House. What better way to celebrate the end of the school year and the opening of the Butterfly House, but an Ice Cream party with gifts of summer-reading books for all the kids? 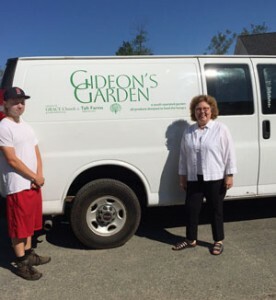 Gideon’s Garden delivery van has been in use since summer 2016. The youth of Gideon’s Garden hosted a wreath making party for the parishioners of Grace Church. Lunch of pizza, salad, and cookies was served. 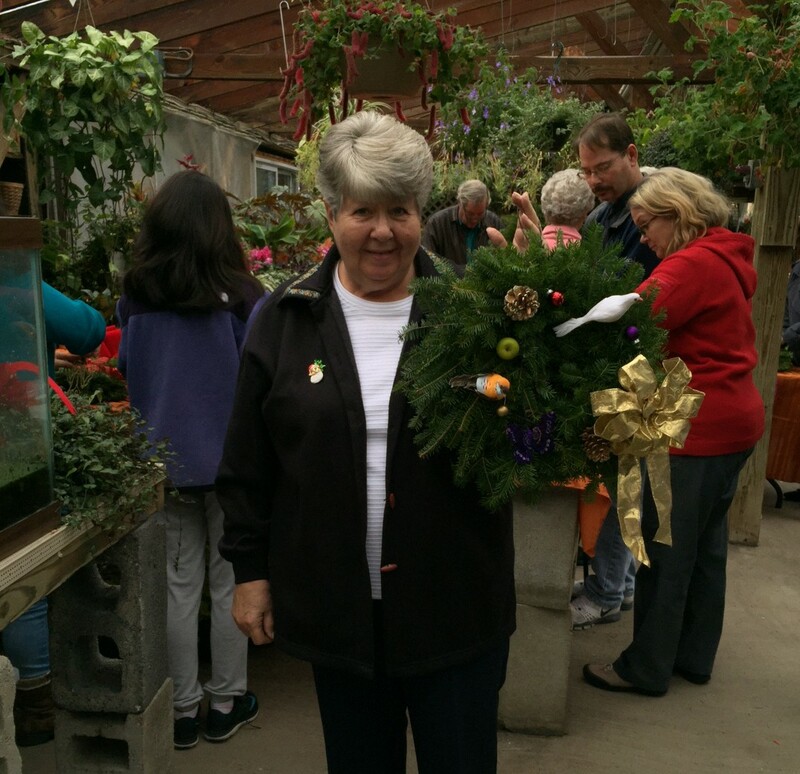 Everyone walked out with a beautiful wreath. 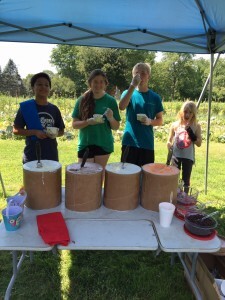 Thank you to the youth of Gideon’s Garden for all your hard work all year long and for this special treat. Students from ages five to twelve participated in a plethora of value-based activities during the 2015 BRIDGE Happiness Retreat Service Learning Day on August 12. 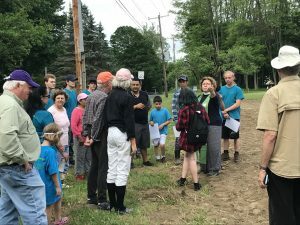 Students came from Berkshire Country Day School, Berkshire Hills Muddy Brook Elementary and Monument Valley, and Pittsfield Public Schools recent Allendale graduate. 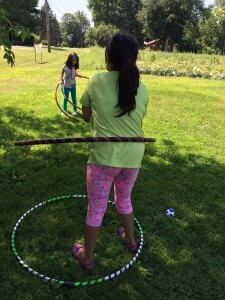 The agenda for the day included making resilience cards and dream clouds, coloring, meditating, hula hooping, playing soccer and drums, experimenting with life-size bubbles, harvesting vegetables at Gideon’s Garden, preparing for the family dinner, and singing two songs they learned earlier in the week to their families. Founder and CEO of Multicultural BRIDGE, Gwendolyn Hampton VanSant incorporated resilience cards into the mix, in the hopes that students would be encouraged and inspired by their own strengths and values. The cards consist of three motivational phrases beginning with “I am” “I have” and “I can”. These cards are intended to make students feel good about themselves every time they are read aloud. VanSant explained that resilience means “to never give up”, and to always keep on trying until you are satisfied with your results. Students were asked to describe themselves with an adjective, pick their quality from a box of “trump” value cards, and think of something they like to do and/or are good at. Students then shared these cards with the group, and their parents later completed the same activity. Stephanie Wright of Berkshire Hills Regional School District (BHRSD) taught a class entitled “We them. These small pieces of paper cut into the shape of a cloud reflect each student’s dream for themselves, and for the world. Each cloud begins with the famous phrase by Martin Luther King, Jr. “I have a dream….”. One student’s dream was “for the world to be a peaceful place”, on which they drew trees, green grass and a beautiful sun shining down onto four people holding hands. Additional activities for the children included a meditation and mindfulness class taught by BRIDGE staff member Safara Fisher, and Spanish lessons taught by bilingual Family/Individual Engagement Coordinator Estervina Davis. 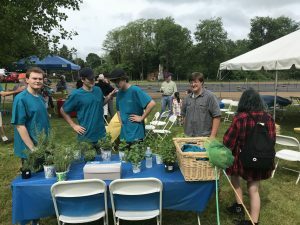 At certain points throughout the day, students were able to choose from a few fun activities led by BRIDGE Community Engagement Coordinator Emily Vigiard, and Youth Engagement Coordinator JV Hampton-VanSant. 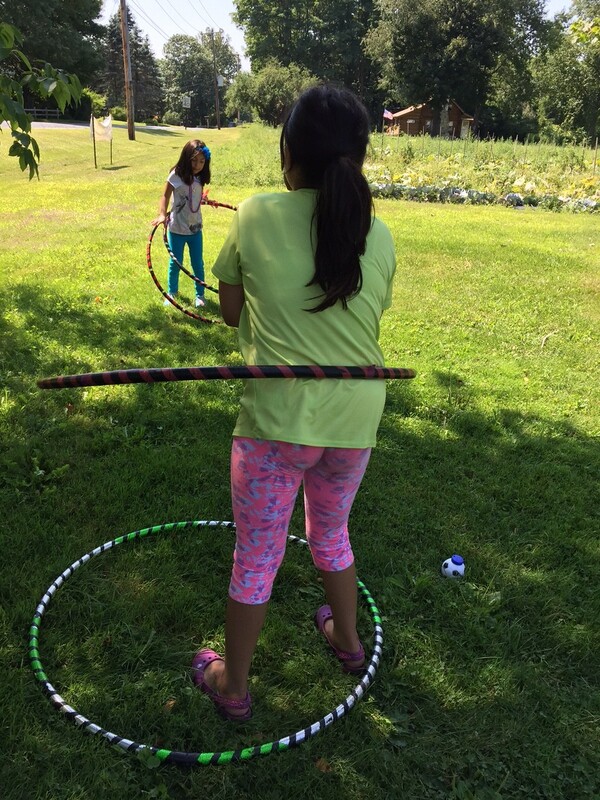 Students learned the importance of teamwork while playing soccer, were amazed by the extraordinary bubbles they were making, provided great music for others while playing drums, and got some exercise while hula-hooping away! 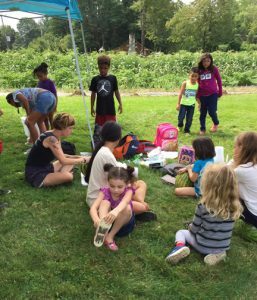 The students were ecstatic about going to Gideon’s Garden at Taft Farms to harvest vegetables, and were counting down the hours until they went. 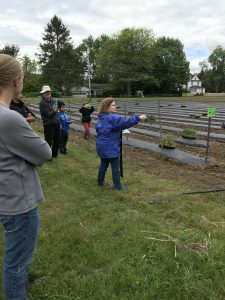 Upon arrival, they were greeted by three friendly staff members, and separated into three groups, which were all assigned a different vegetable to pick. 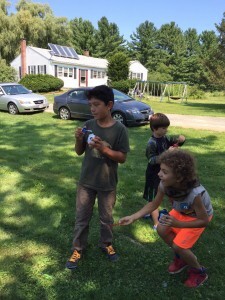 Some children turned picking the vegetables into a game, where whoever found the biggest tomato or green bean won, while others wanted to make sure the ones they picked were the ripest of the bunch. When harvest-time was finished, students were able to try planting lettuce, making them even happier. 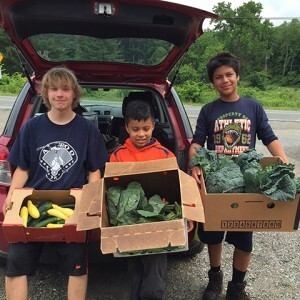 All in all, they were glad to be harvesting vegetables they knew their families could take home later. 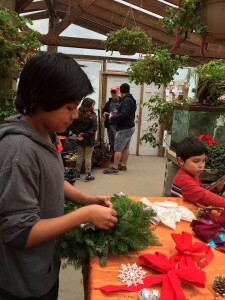 This experience gave the students a real sense of purpose, and generated pride among them. When students came back from the farm, they were asked to color in a sketch of the word gratitude, and write a thank you note to sponsors, or anyone involved in the program for providing them with such a great opportunity. BRIDGE staff explained that the word “gratitude” is essentially another word for “thank you” or “grateful”, and that everyone who supported the program deserved to be thanked for their time and effort. 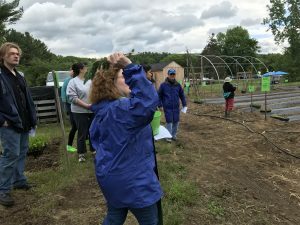 Sponsors included these organizations and their staff and volunteers: Grace Church, Multicultural BRIDGE, Guthrie Center, Taft Farms, and Berkshire Theatre Group. Enthusiasm filled the room when it was almost time for the parents to arrive. 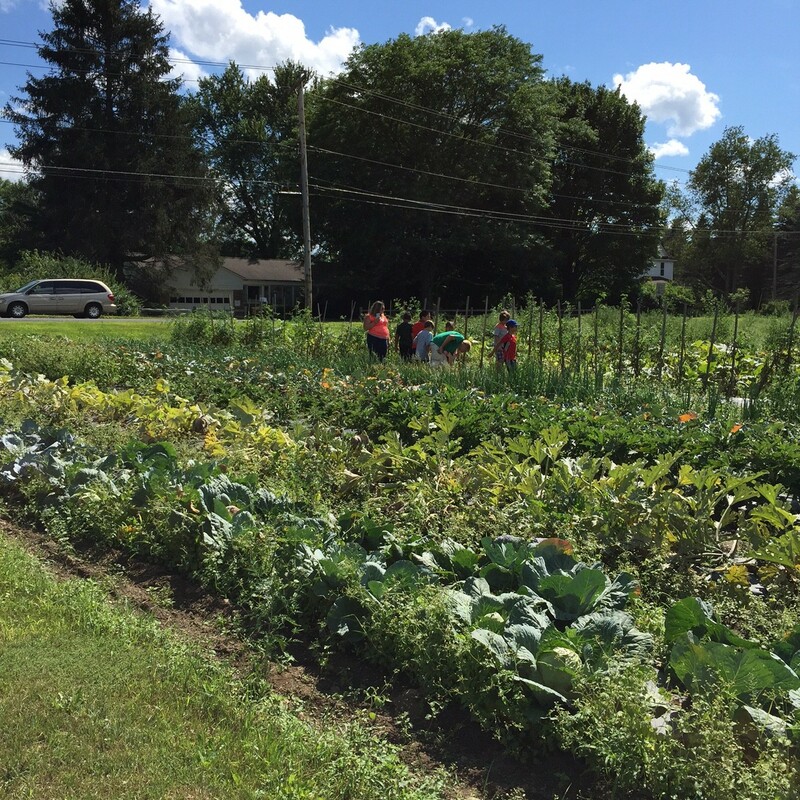 Students were happy to help set the tables for dinner, and couldn’t wait for their parents to see all of the vegetables they worked so hard to harvest! Dinner consisted of a mouth-watering plate of fresh beans, rice, chicken and corn from Taft Farms, along with fresh fruit pies for dessert! While the parents ate, students shared one last surprise they had in store; their songs! With the help of Howard, the Guthrie Center Musical Director, students sang a song entitled “Take me to Show and Tell” as well as the famous “This Land is Your Land”, which touched families and staff alike. On the first day the students sang with Woody Guthrie’s granddaughter, Sarah Lee, and Howard for a few hours to learn these songs. Students continued to participate in the program for the rest of the week, where new activities were sure to be a hit. 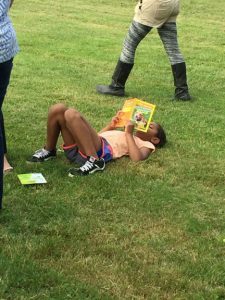 They participated in the Guthrie Center yoga class on Thursday morning with a Kripalu instructor, and went to Taft Farms once more for an ice cream social on Friday afternoon with a visit from Mer-Prince JV to read his new book, the Neptune Brothers! 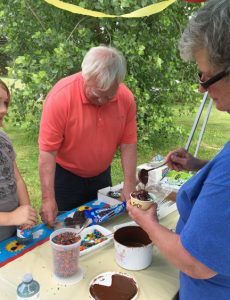 Mrs.VanSant coordinated with George of the Guthrie Center, as well as Pennie Curry of Taft Farms & Grace Church to relaunch the BRIDGE Summer Program and kept it running smoothly all week long, and without them this week would not have been possible. 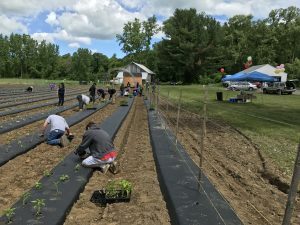 VanSant is excited and passionate about this program, and hopes to offer it to students again next summer, possibly for two whole weeks and in several parts of the County. The purpose is to provide a joyful learning experience based on the strengths and values of our students, families and communities developing skills and language around resilience, diversity leadership (how we are the same and different), and more positive psychology skills. For more information about Multicultural BRIDGE, and to see a list of the programs they offer to the community, please visit: www.multiculturalbridge.org , or search for BRIDGE on Facebook. 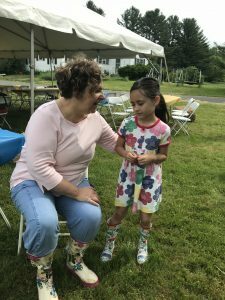 Pictures from the summer camp this week which was a partnership among Multicultural BRIDGE, Guthrie Center, Gideon’s Garden, and Grace Church. 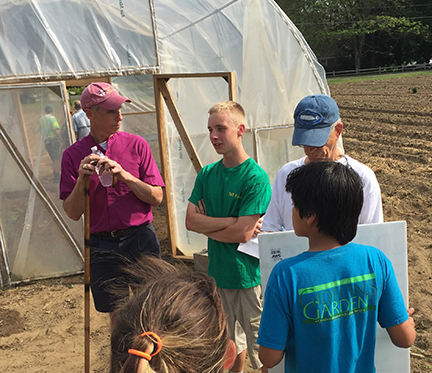 Bishop Doug Fisher visits Gideon’s Garden on his pilgrimage through Berkshire County. 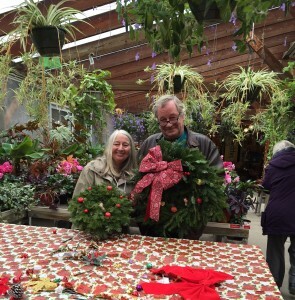 Christmas Eve, 2014 found us in the green house at Taft Farms again. Enjoy these photos taken that afternoon. 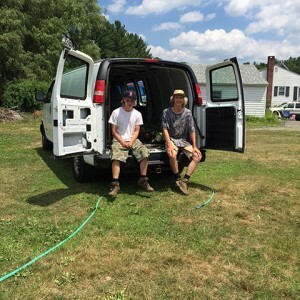 Here is an article about Kyle Gangell and Gideon’s Garden from The Berkshire Edge. 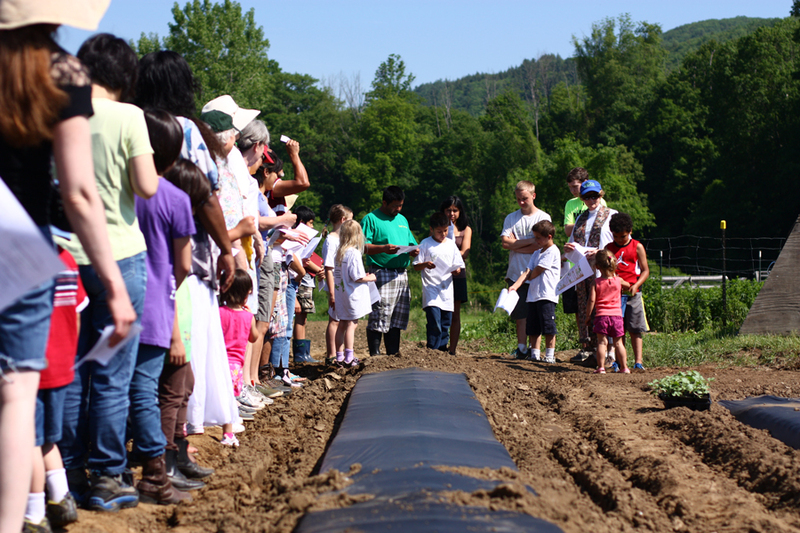 Here is a slide show of some of the photos from the planting on June 7, 2014. The Rev. 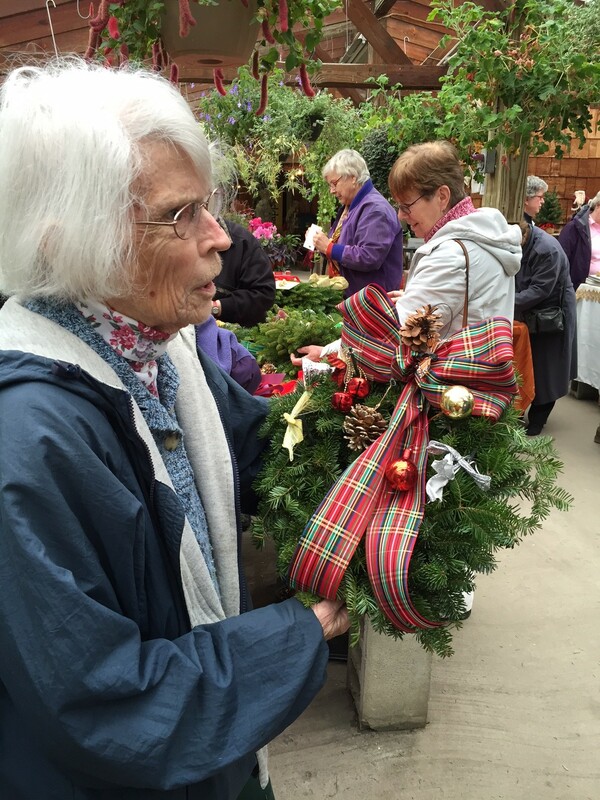 Ted Cobden was our priest and Fidel Moreno offered the Native American Blessing on the garden. 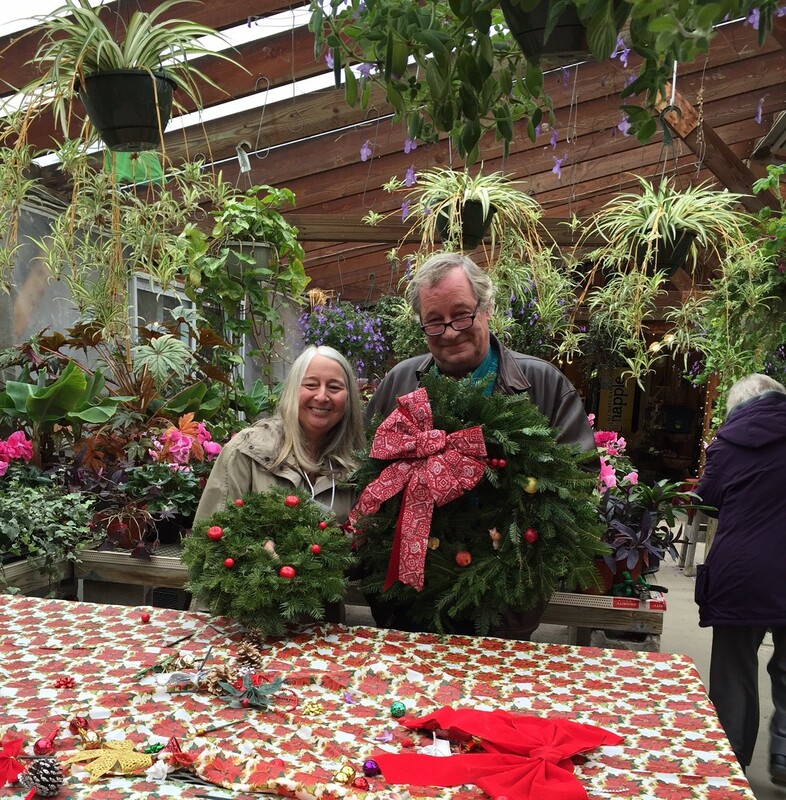 Our heartfelt thanks go to Taft Farms’ owners Dan and Martha Tawczynski and to Paul and Keith Tawczynski and Sue Hayden of Taft Farms. 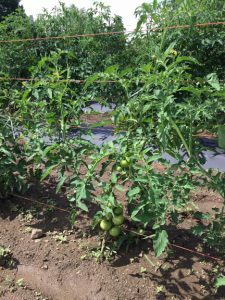 For the sixth year, Taft Farms has graciously contributed supplies and the use of land (this year 2 acres! ), and prepared the ground for our garden, which is on Division St., across from Taft Farms. 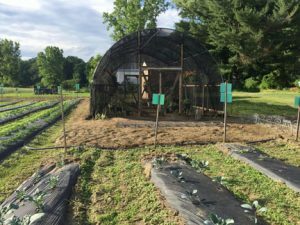 The vegetables we grow will help supply meals for: Breaking Bread Kitchen, the People’s Pantry, the Lee Pantry, W.I.C., the Guthrie Center Lunch Program, Habitat for Humanity, and other hungry families. 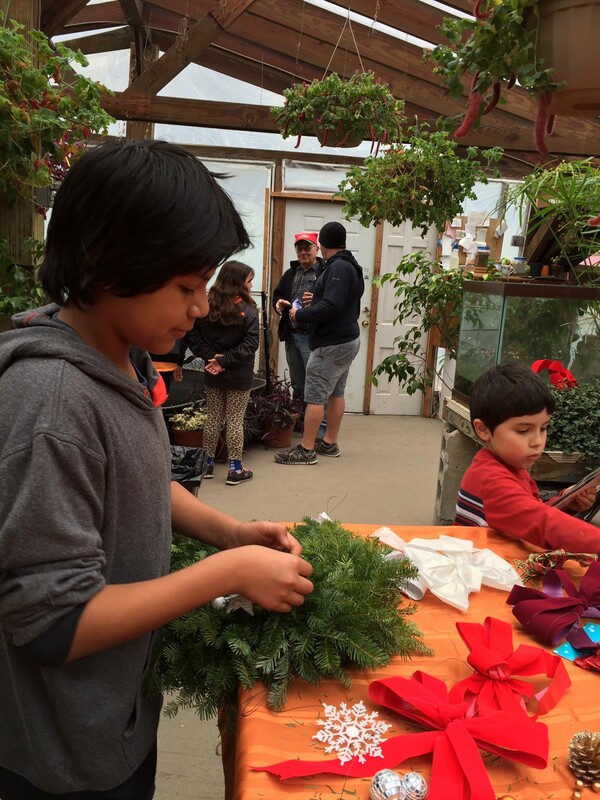 To offer gardening experience, nutrition education, opportunities for youth to learn responsibility and organization, and fresh food and eggs to many in the community, we team up with Community Health Program, Railroad Street Youth Project, Brookside School, MulticulturalBRIDGE and the Hispanic community. 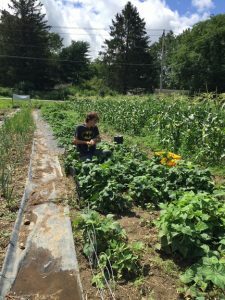 The name “Gideon’s Garden” comes from Gideon Bostwick, who was the first full-time rector of St. James Episcopal Church, Great Barrington (1770-1793). He was the missionary founder of the Episcopal Church in western Massachusetts. While at St. James, Rev. Bostwick was missionary to 47 towns, riding on horseback 80-100 miles per week to spread the Christian Gospel to people in Connecticut, Vermont, New York, and Massachusetts. He reportedly ministered to the people of Sheffield, so they did not have to travel “all the way into Great Barrington” to go to church! Grace Church is the consolidation of St. James, Great Barrington and St. George’s, Lee. and they shall never be unhappy again. We pray to you, gracious God. 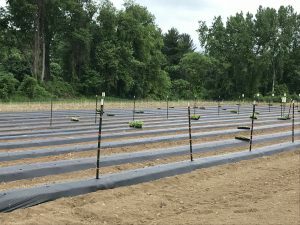 For the generous gift of plants and this plot of land from Taft Farms. 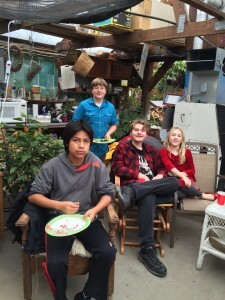 For the youth and all who will work this ground and pray in this place: May they know you God through the growing cycles of life; may they make and deepen friendships by working together here; and may they come to care deeply for the ones they will feed with the harvest and for all who are hungry for food and fellowship. planting in the power of the Spirit!